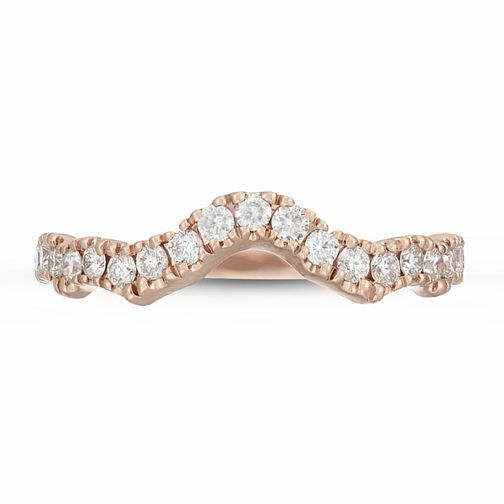 Exclusive to Ernest Jones, this gorgeous 14ct rose gold wedding band from Neil Lane is elegant sophistication. The band is adorned with 0.29ct delicate diamonds and showcases a design that departs from traditional wedding bands. This is an authentic design for the bride who demands perfection.